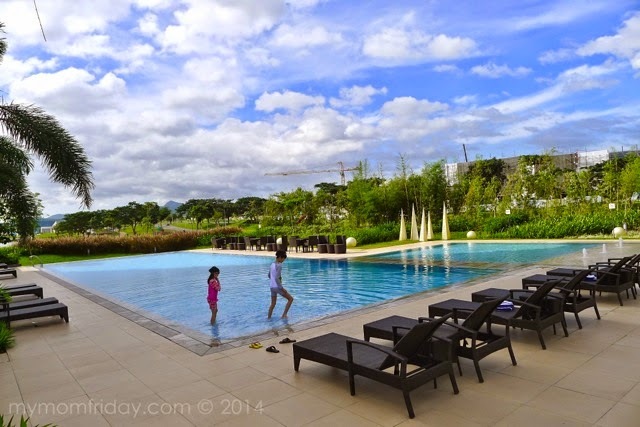 I still can't over our recent family staycation in Seda Nuvali last December 5 to 6. 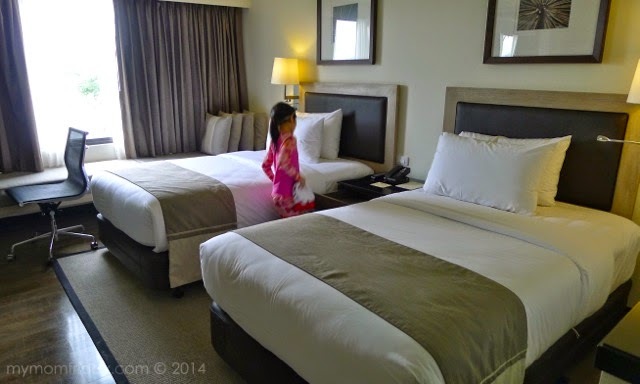 We considered it our post-anniversary celebration and it was such a pleasurable overnight accommodation. 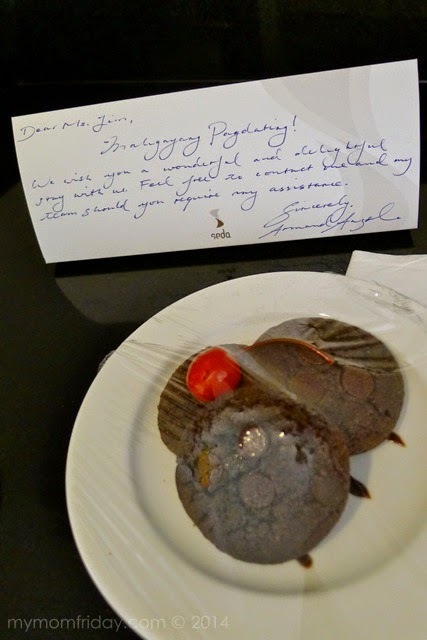 You have to read about our first day here to have a better appreciation of what the hotel can offer. The kids are bugging us to go back. 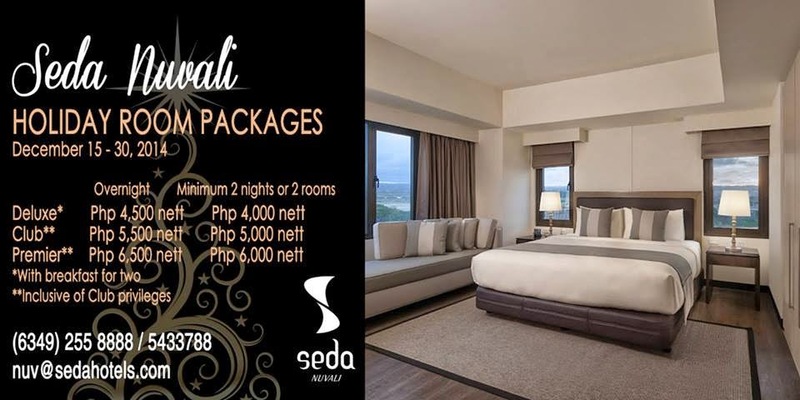 At present, there are four Seda Hotels operated by AyalaLand Hotels & Resort. 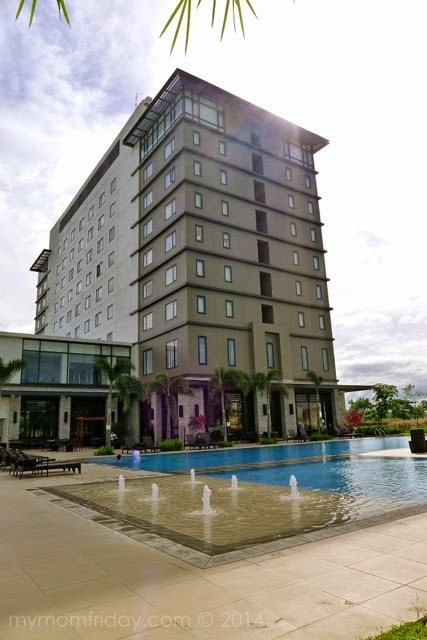 These urban lifestyle hotels are located in key cities in different parts of the country -- Seda BGC in Taguig, Seda Centrio in Cagayan de Oro, Seda Abreeza in Davao, and Seda Nuvali in Laguna. 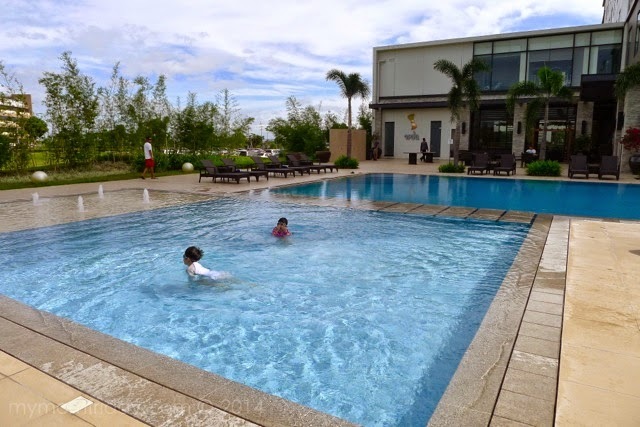 Seda Nuvali proudly stands in the heart of this busting residential-commercial community in Sta. Rosa, catering to families and business groups. We saw that mix of work and play during our stay, and while it was drizzling, the gloomy weather did not stop us from enjoying the top notch hotel amenities. 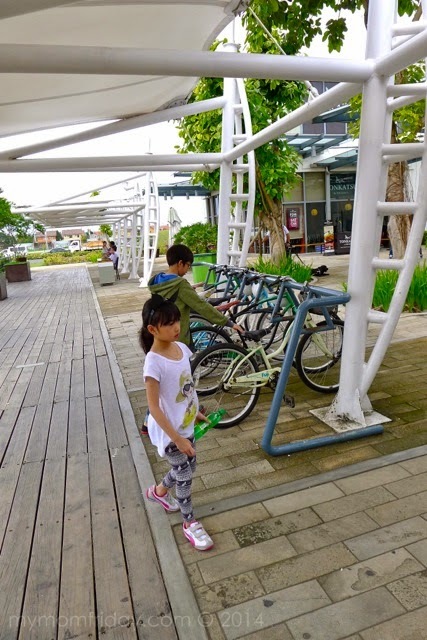 We were also treated to some recreational activities in nearby Solenad. Before I share day 2 of our weekend getaway, here's a look back of the night before. 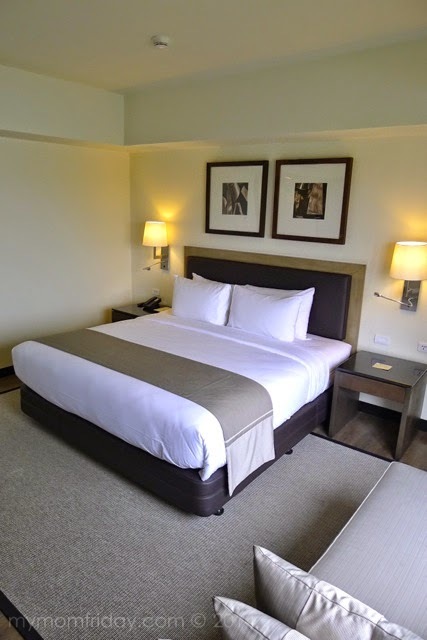 This was our modern and cozy Premier and Deluxe Rooms. My husband and I got comfy in this king bed, while the youngsters had their own solo beds in the adjoining room with the same refreshing view of the lake. The girl ate almost all our yummy assorted welcome cookies from both rooms! 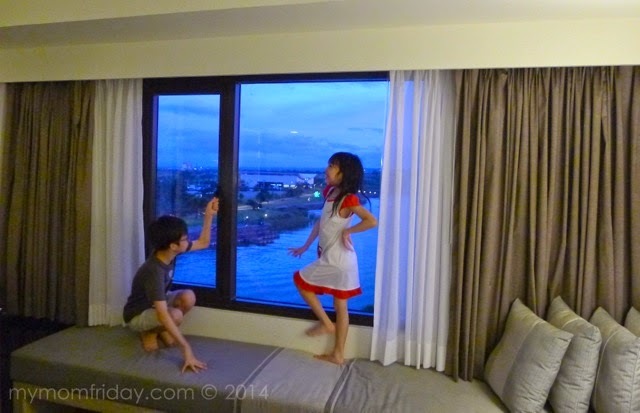 Kids fooling around by the window. This was taken before dinner. After dinner, the girl and I decided to check out the Club Lounge since I forgot to bring them there during the day. But too bad it was already closed. 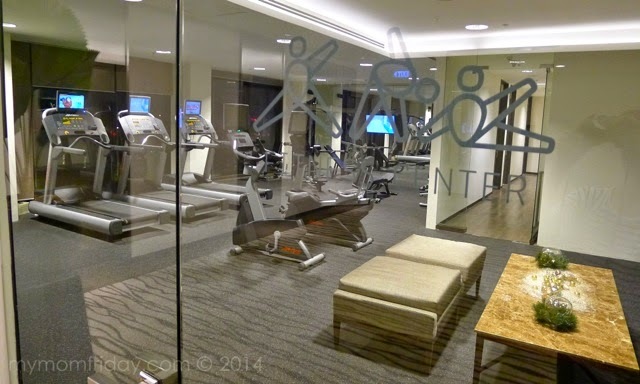 We found the executive offices, spa, and fitness center as we went down to the second floor. 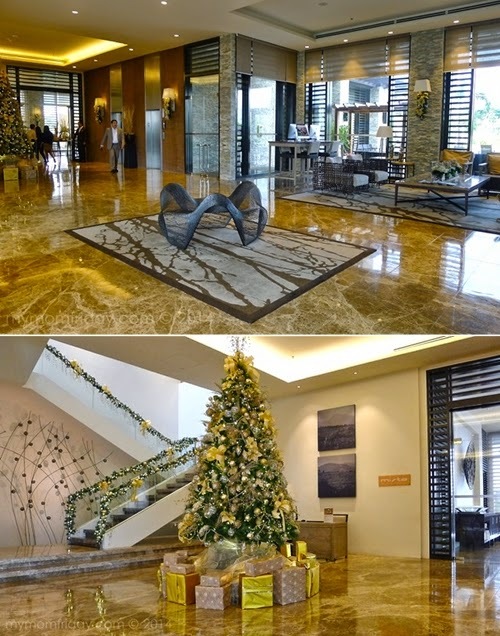 The stairs led us to the lobby where the Christmas tree stood. Day 2 at Seda Nuvali. Good morning to us! 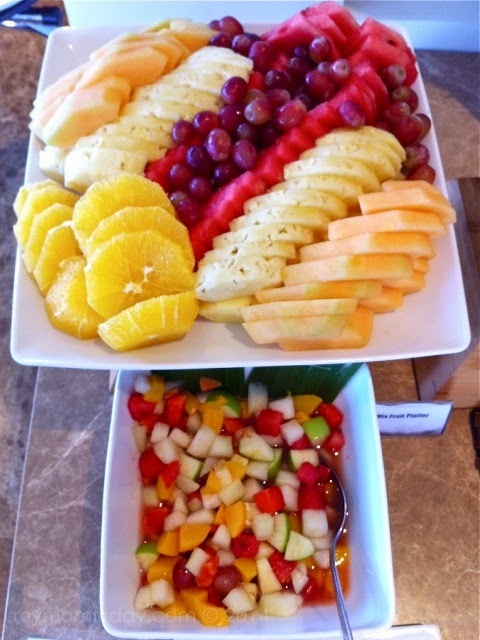 Breakfast buffet at Misto. 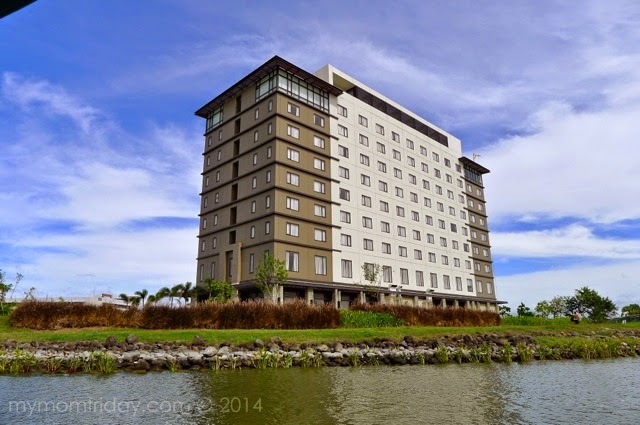 Seda group of hotels aims to showcase the best of Filipino. 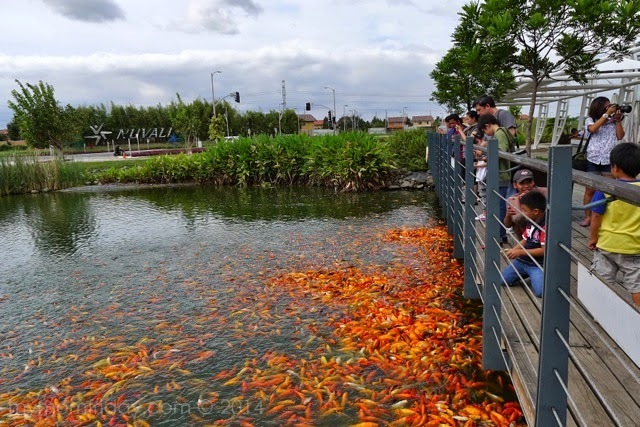 Naturally, we can expect Pinoy dishes in their menu. 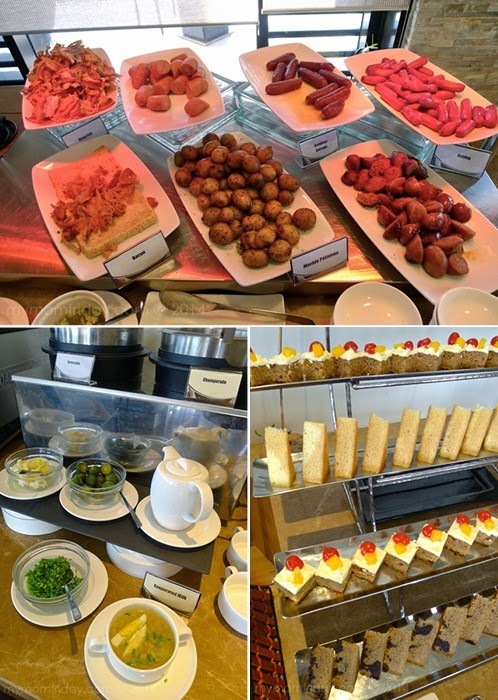 The buffet offered an assortment of Filipino and continental selections that can satiate children's and adults' cravings. When we came down to eat, the Filipino dishes like chicken adobo and pansit were only half filled so I did not take a photo anymore. I noticed many of the corporate guests already attacked the more filling Pinoy meals before we arrived, heehee. 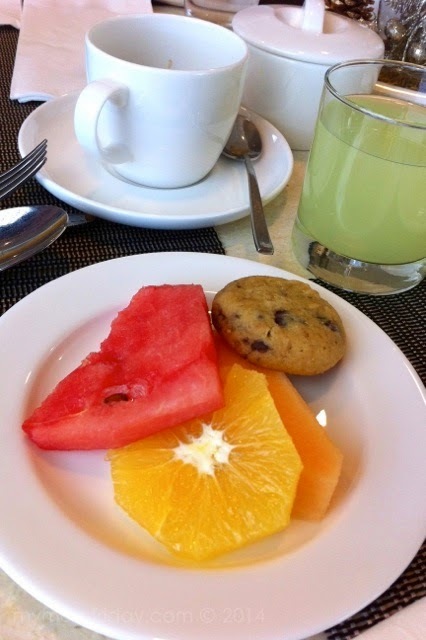 I actually didn't mind coz we often go for the usual -- fruits, breads, bacon, cheese, coffee, hot cocoa, and fruit juices. Aside from assorted meats, sausages, longganisa, potatoes, there were cakes and pastries, and a salad bar too. Nothing grand, but just enough food stations to offer a good variety of tasty dishes and baked goodies. 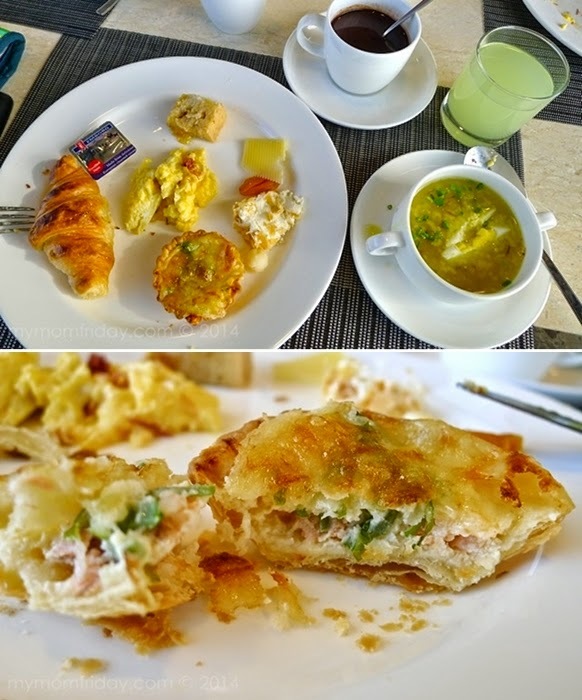 I had arroz caldo, omelette, some cheese, a croissant, and this deliciously flavorful quiche lorraine. A hot cup of cocoa and and my favorite cucumber-lemon juice complete my morning fuel. Before we leave the hotel, the kids just had to swim again. It was a sunny Saturday, well, from where I was sitting, 'twas sunny on the east, but dark clouds looming on the west. View from the opposite side, by the kiddie pool. And here's another angle near the edge of the infinity pool. When we were welcomed during check in, we were given complimentary tickets for a water taxi ride, and two packs of fish food. 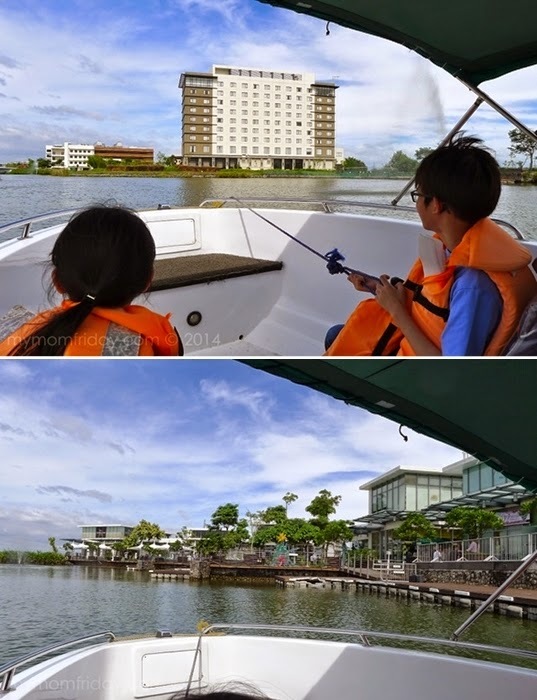 Since all of us wanted to enjoy the hotel's amenities on our first day, we planned our outdoor activity for day 2. 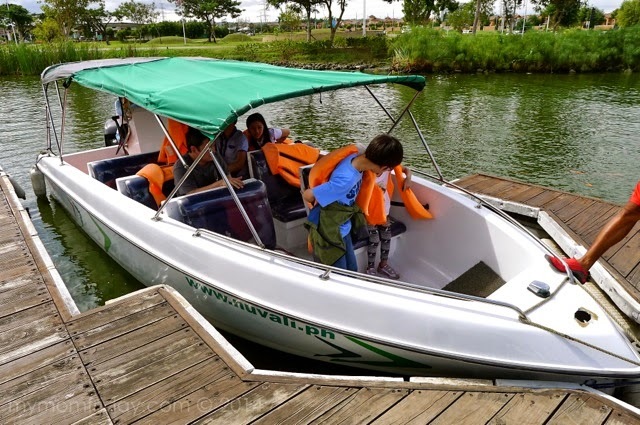 Seda Nuvali offers free shuttle service to hotel guests who wish to dine and shop in nearby commercial centers. 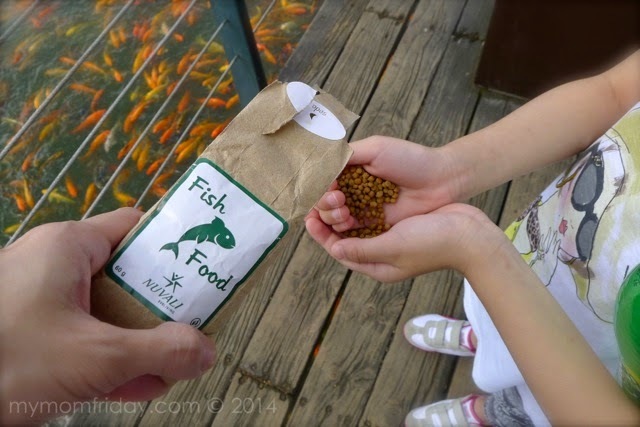 After we checked out, we left our bags with the concierge and requested a ride to the fish feeding area. The same car picked us up afterwards. Just one call to the hotel and you can expect your ride to arrive at the designated pick-up point. Service deluxe. We checked out by noon, and was brought to Solenad. 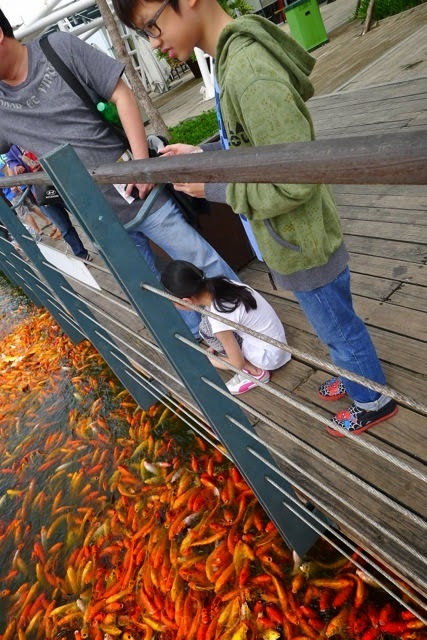 The kids were eager to ride the boat around the lake, and feed the kois again. We lined up for the next available water taxi and as soon as it docked, these two can't wait to take their places. 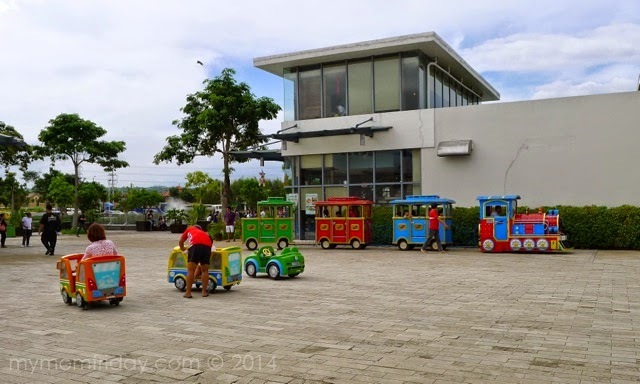 A visit to Solenad will not be complete without this joy ride. I think this was their third time (here's the first time in Solenad). Even if it's just a quick ride around the lake, we all enjoyed it -- with a few splashes in between. 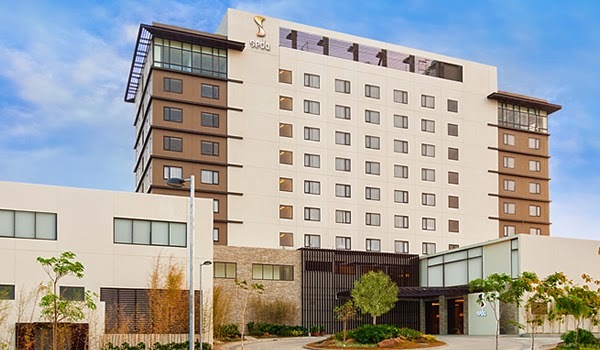 Here's a view of the hotel. At first, they asked for a train ride too! I'm always the designated rides companion and this time I didn't want to. Sorry kids. 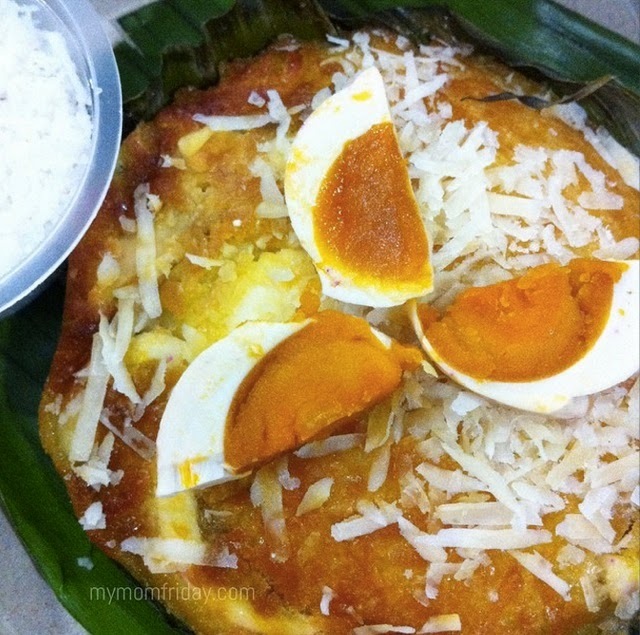 Before we left, this warm bibingka was our pabaon, thanks to our hosts. It really set the holiday mood! Pasko na! 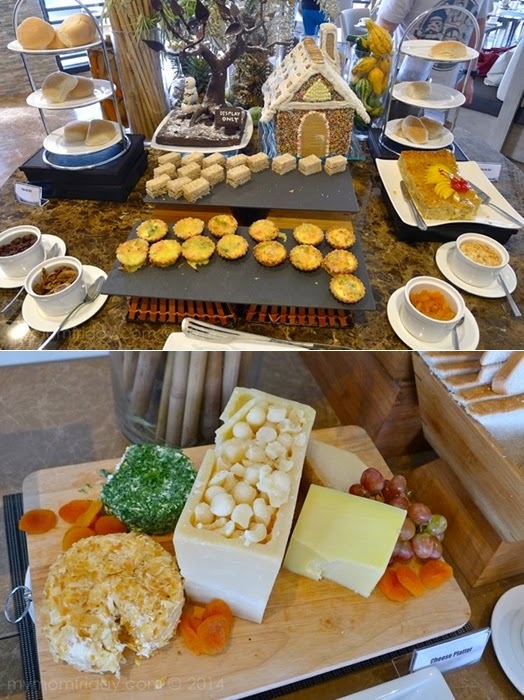 If ever you visit the hotel, be sure to order this classic Pinoy Christmas delicacy, and other local treats like puto bumbong and ensaymada. Goodbye to our home away from home that weekend. We had a blast at Seda Nuvali. We were able to relax and have fun at the same time, not a dull moment. A big, big thank you for making our stay as comfortable and pleasurable. A good balance of rest and recreation in one beautiful setting. 'Til our next visit. 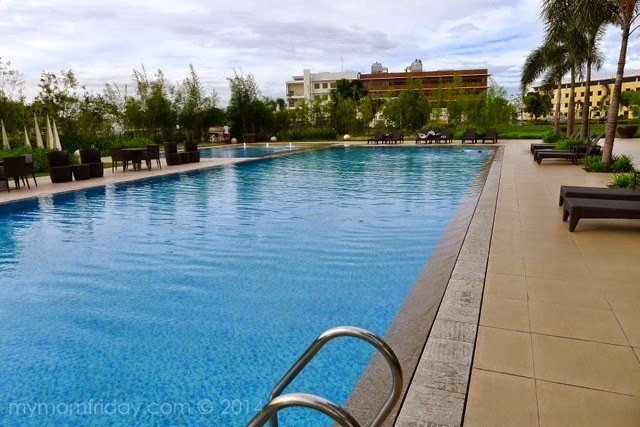 Read about our Day 1 at Seda Nuvali Lifestyle Hotel in Sta. 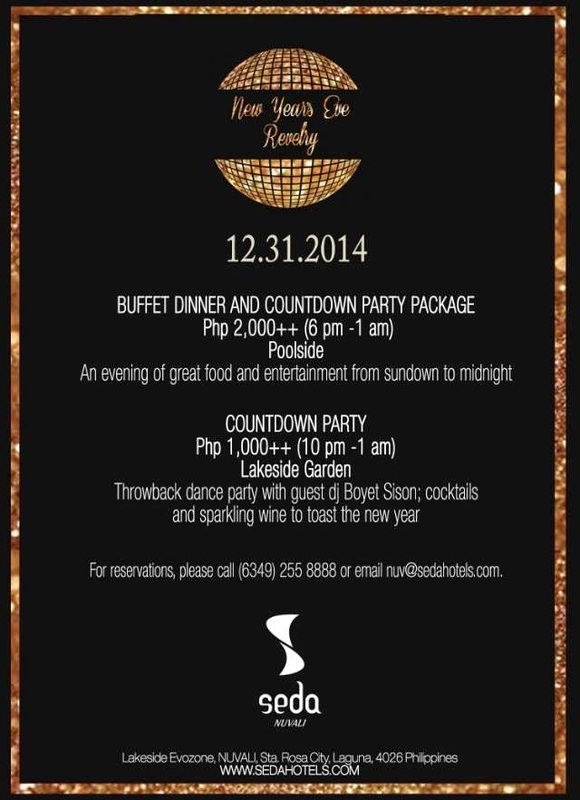 Rosa, Laguna and check their holiday promos!